If Genie would appear before me and ask for wishes, do you know what I would opt for ? Time Travel! Because I would go on time to witness the bygone years – which we call as the ancient and rich history of a place. Then, I would be filled with tons of stories about our glorious past, which I would vividly share with you here! 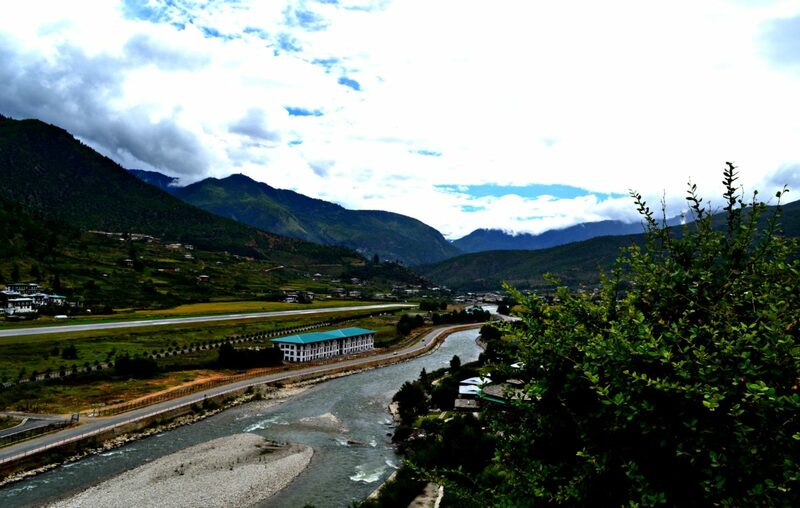 Because some places are so much enriched with a deep-rooted history, which makes me go back in time, to be a part of the majestic splendor. The opulence of these places resonates through their impeccable structures. They withstand the climate over decades and stand tall, welcoming the visitors. It looks as though these monuments behold thousands of words – many unknown mysteries, little-revealed secrets and interesting stories of their creators. 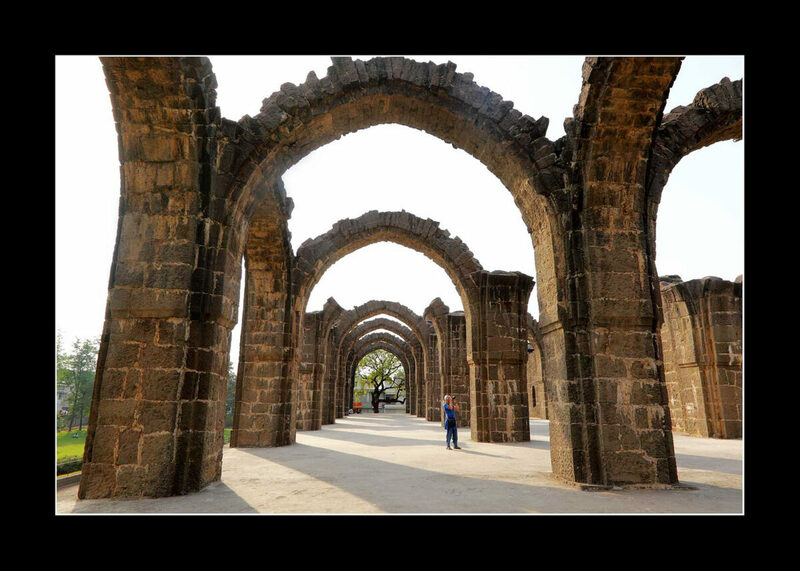 One such place which never ceases to amaze me is Bijapur. Although Hampi tops my list of personal favorites as the historical place which I love and admire the most, it’s little neighbor Bijapur is also home to magnificent monuments. 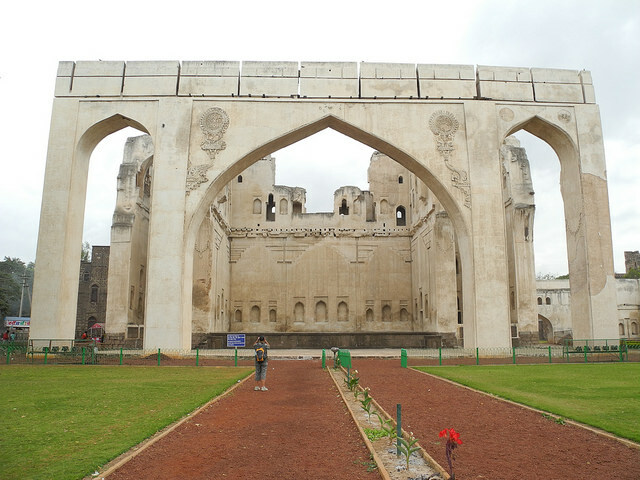 Popularly known as the ‘Agra of the South’ or ‘Queen of the Deccan’, Bijapur has a significant role in the history. The monuments are known for their Indo – Islamic architecture which reflects the best of both worlds. The culmination of two distinct cultures in Bijapur is what fascinates me. Because these monuments are a result of immensely talented sculptors and their brilliance radiates in every structure. I was astounded and pleased when I realized how to inherently different cultures can work together to create a masterpiece. Their passion towards architecture is reflected in every stone, as they are amazing. Put a history lover like me amidst these pieces of history and I get immersed in their world. 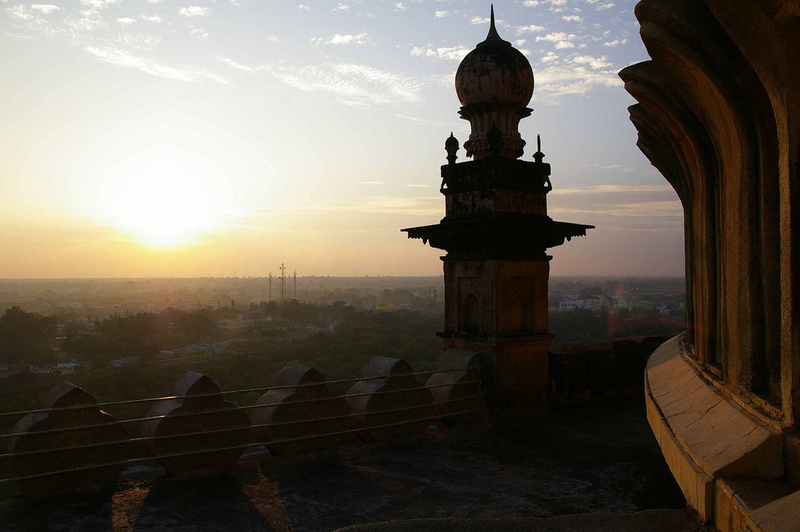 The entire Bijapur is bounded by a fort, which served as a strong base to protect the city. 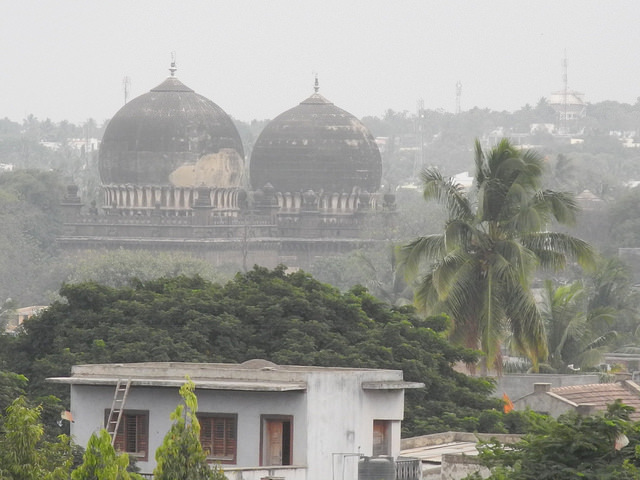 Outside the city of Bijapur lies the remnants – numerous mosques, edifices and many buildings which have been converted to offices or have been abandoned. All these structures have withstood time and give a glimpse of the grandeur of the Adil Shahi dynasty. 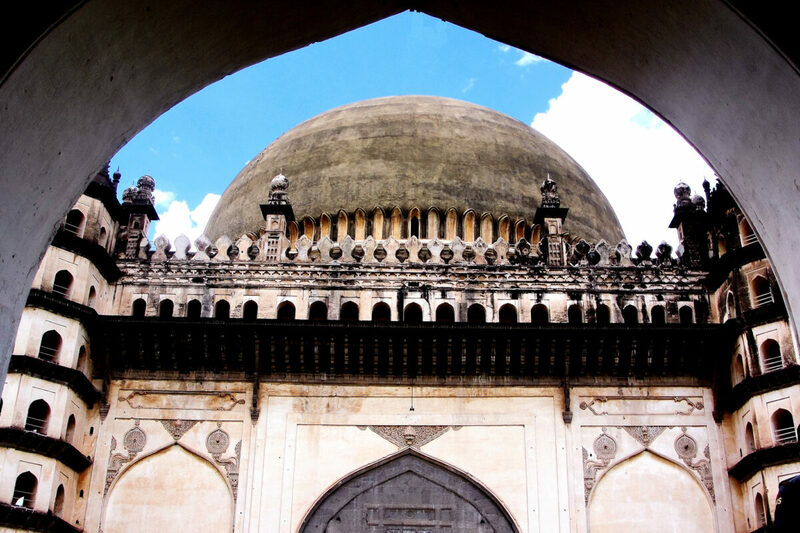 The petal-shaped outline of the dome of Gol Gumbaz appeared on the distant horizon, a few kilometres away as I caught a peek at the majestic structure. The volume and the beauty of the monument shined and I was awestruck by its elegance. 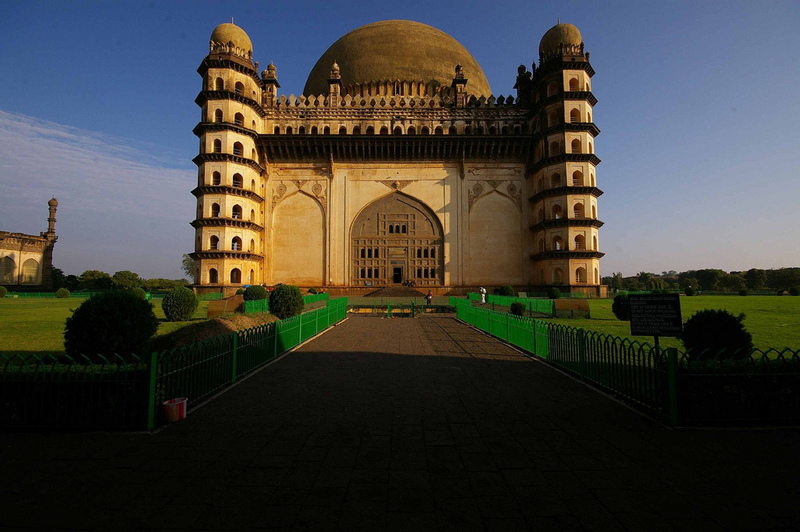 Gol Gumbaz in Bijapur is the most popular monument, which is known for its splendid architecture. 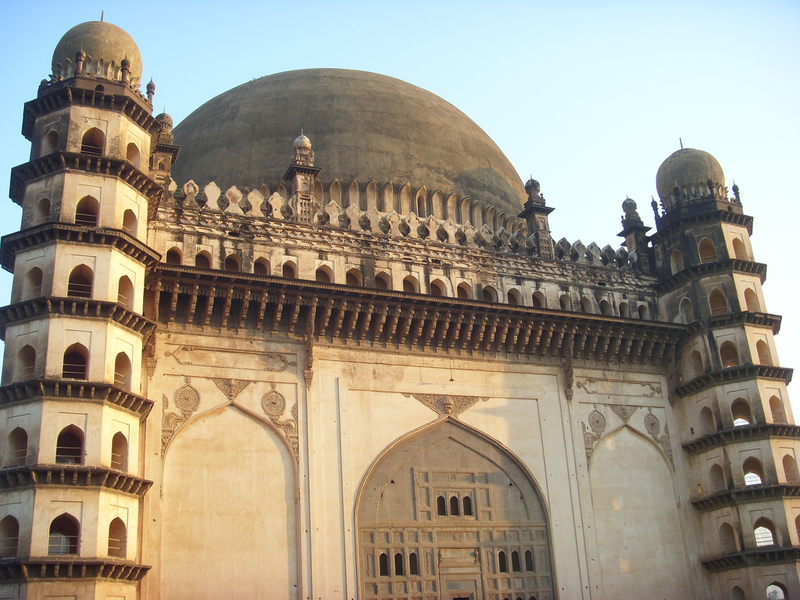 Gol Gumbaz means ‘Circular dome.’ The four-pillar type of structure which is in perfect adherence is an engineering marvel. Whispering gallery is an example of architectural brilliance – Our guide stood across the wall on one side and rubbed two notes against each other close to the wall and asked me to listen to the sound of it, standing exactly on the opposite side of the wall. And I could hear the sound perfectly! I was astounded by the marvel of the monument which possessed such an advanced architecture, built hundreds of years ago! This is the only monument in the world which is built in this way. One more awesome thing is the echo – You utter something loudly and the same words echo back seven times exactly! Amazing, isn’t it? Our guide made us climb to the top to reach the roof, which needs to be reached by climbing up a narrow staircase. Not being a fan of heights, I managed to look around, clinging to the wall. The view from the top is mind-blowing as the entire city with its other spectacular monuments can be seen. Ibrahim Roza is the other monument which I loved the most – Known as the Taj Mahal of the South, it is the tomb of Adil Shah II and his wife. Both the structures are in line with a perfect symmetry. The intricate carvings on stones depict the level of interest and passion which the Kings of Bijapur nourished. I spent a long time, soaking in the absolute beauty of the architecture. Baara Khaman is a long passage now, which was a former market center. Gagan Mahal is another structure which has withstood the test of time well. It was mainly used as a place for leisure by the royal family. It is said that the last King surrendered to Aurangzeb – the Moghul ruler of Delhi, in this place.I also loved the archaeological museum which has a huge collection of antique items belonging to the Shahi rule. 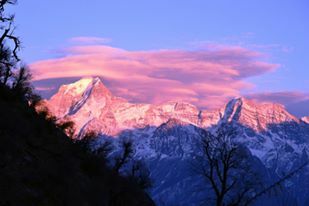 Upuli Burj is the tallest watchtower during the ancient times. 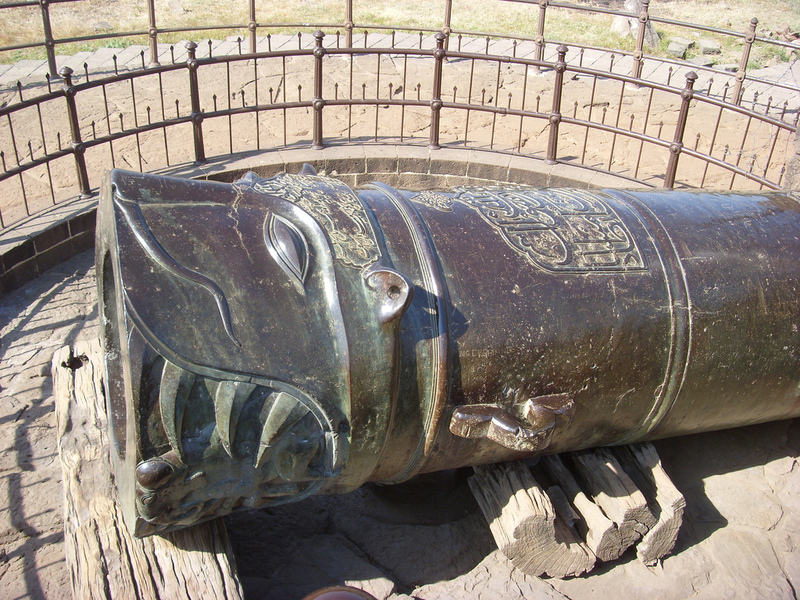 It is known for its huge cannon which was used during the war. 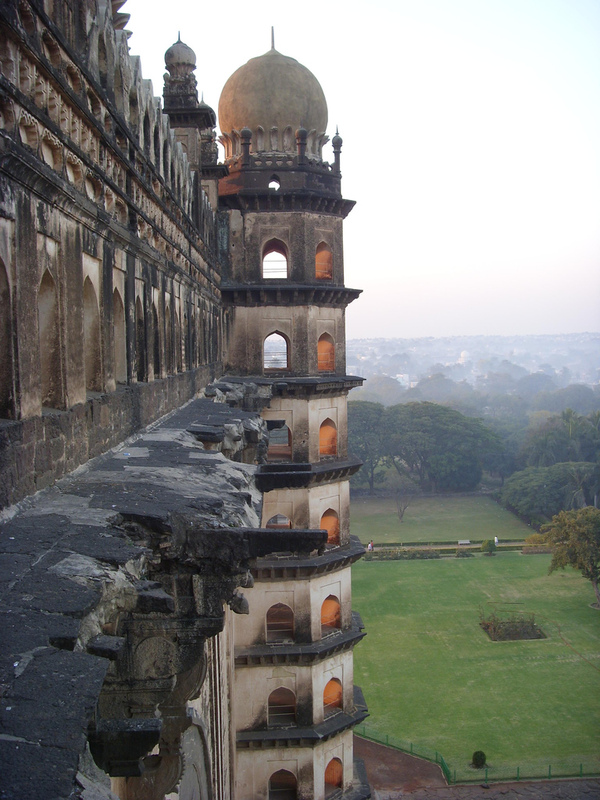 The Burj is a large circular structure and provides an amazing view of Bijapur. Bijapur of the present is a small city which is filled with traders and farmers. Like elsewhere in India, there is a diverse mix of population and culture – the temples and the mosques co-exist in harmony. The vibrant colors of the city captured my attention – red chillies and vegetables sold by street vendors, local men with colorful turbans on their head. I tried the local food which was surprisingly cheaper, but definitely delicious! I’d gone back in time in my mind, all the while I explored the history of Bijapur. I came back with vivid images and imaginations in my head and I must say, Bijapur is surely every history lover’s delight and architect’s perfect design! Have you been to this city? Share your thoughts with me! PS: Unfortunately, I lost all the pics of Bijapur stored on my hard drive. So, I’ve picked the CC images.